A pioneering church plant . . . a church that reaches out to a section of today's people that need a church that is more them . . . yet foundationally established and under girded in an unchanging God, His Son Jesus, His Word and His Spirit. We’re just getting traction, the unfolding may look a little different, but the heartbeat will be the same. The overall vision of a church, an organic church, with a young spirit, a passion to be an advocate of the arts within the community in which it serves, might sound and look like this. ​Pastors Glenn and Robyn Feehan. ​Who Is True NORTH Church . . .
​True NORTH Church, is a New Testament down under style church. Well that's what I tell people when I'm asked.
. . . a church that embraces the church Jesus came to birth. The Book of Acts lives on . . . at True NORTH Church Frisco. Vibrant, powerful, energetic and rich in God's Spirit. God sent Jesus to not only bring the avenue for salvation (which is without doubt THE biggest miracle!) but to also bring us life and life with an incredible abundance (John 10:10 & 2 Corinthians 9:8) difficult to fathom! Life following Jesus is a wild and wonderful journey, after He said He was The Life! We all need to see ourselves grow in being Son's and Daughters of God. This crazy, amazing and confused world needs more people of energetic love, uprightness and justice. Romans 8:19 says creation groans for the revealing of these people. Romans 8:14 says, those that are led by the Holy Spirit are these people. Being filled with the Holy Spirit is not a whimsical notion, it's an imperative. We believe in the Gifts of the Holy Spirit AND bearing the Fruit of the Holy Spirit . . . all an incredible journey . . . each one of us at unique points of getting it all happening . . . as we navigate our way in this beautiful life Jesus made possible. I hope his helps you come and see what God is doing at True NORTH Church Frisco! We are from down-under. Born in New Zealand and lived for many years in Sydney Australia, where church is friendly and relaxed yet powerful. You don't have to dress up, unless you want to. The worship is a rich, "Now" sounding vibe and well executed. The preaching is about bringing your faith into "real-life" living. Liberatingly fresh, colorful and real. Our building is open - light and again fresh feeling. An easy place to be to worship and grow. "Your best life" happens right here. a pioneering church plant: the navigation point for a great life. a “new tribe”: a relevant church. founded in and on God, His Son Jesus, His Word and His Spirit: about the truth. a church with a heartbeat and a visible journey: doing things, going somewhere. 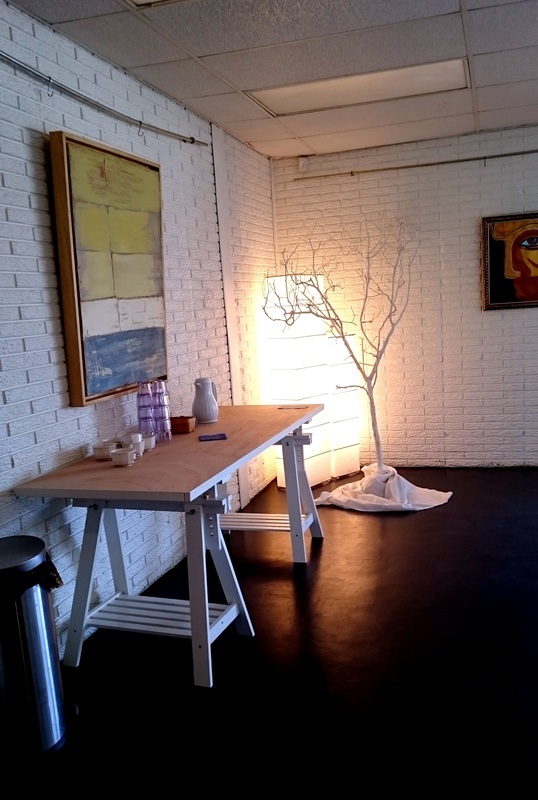 an organic church, with a young spirit: with a loft studio vibe. everywhere is loud and peaceful at the same time: “now” music, occasional out-door church & concerts. an advocate of the arts within the community in which it serves: exhibitions for and in the community. everywhere evokes the wonder of God: His Presence, His Worship, His Healing & Restoration, His Purpose of greatness for people. ​What We Believe . . .
​We Believe: in one God , Creator of Heaven and Earth: God the Father, God the Son, Jesus, and God the Holy Spirit. The three personalities of God are one. Tri-une. We Believe: that Jesus, Son of and equal to, God, walked the earth, performing miracles, sinless. His birth a miracle conception of the Holy Spirit. His death and subsequent glorious resurrection and ascension to sit at The Father's right hand, was, and is, the only invitation to the entire earth’s populace to receive forgiveness, atonement, healing, righteousness and reconciling entrance to a personal relationship with God. Believing this extravagant, monumental occurrence and receiving Jesus' Lordship and confessing it from your mouth as your belief constitutes Salvation. Thus begins the transforming of the believer into one who has received victory over sin and death. We Believe: Jesus, is the only intercessor and mediator between man and God and He is returning. We Believe: in the Holy Spirit. The third person of God, as promised as “The Promise” by Jesus, baptizes a willing and yielded believer in Himself. His gifts and fruit are as alive today as in the first church. We Believe: the Bible is the forever living word of the eternal God. It is infallible and the foundation of all Christian doctrine. We Believe: in the body of Christ, made up of the population and subsequent churches of Bible believing Christians world-wide. We Believe: that there is a power of darkness, led by a spiritual entity/being known biblically as the devil or Satan. We Believe: in the inherent need for all mankind to receive Jesus as Lord and entrance to heaven and the Kingdom of God. We Believe: in the resurrection of all mankind, both saved and not. Saved, to everlasting life with God. The not saved, to everlasting separation from God. We Believe: in full immersion water baptism for the remission of ones sins, as a public display of ones faith and decision to follow Jesus. We Believe: in the taking of Communion, the Sacraments, as in the Lord's Supper. We Believe: we as believers, are called to live as a New Testament Church endeavoring to biblically fulfill the “Great Commission” on our lives.